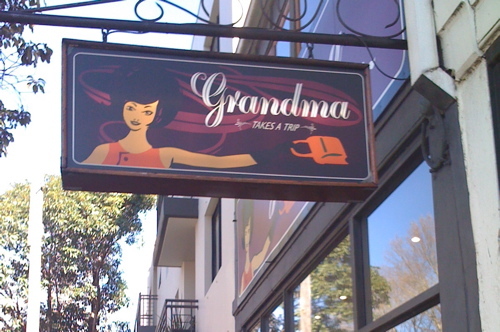 ‘Grandma Takes a Trip‘ in Surry Hills was recommended to me by a friend as a place to find something fun. I had been meaning to go there for ages after seeing it regularly pop up in the ‘must browse’ columns of the weekend paper so it was the final push I needed. The collection they have is amazing. I think I did a full circuit with my mouth hanging slightly open before even grabbing anything off the racks to try on. 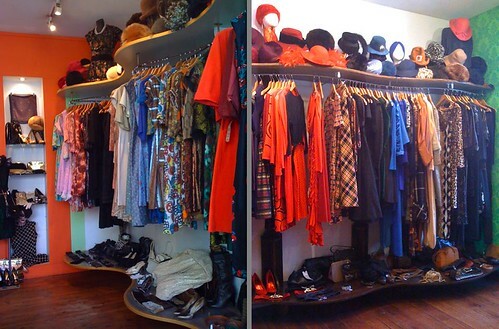 The entire store is organised by type of item and colour and as someone who has ordered a closet this way for my whole life it is the definition of heaven. Don’t judge me for stacking my jumpers according to the rainbow, you have your OCD habits, I have mine, and when clothing it isn’t all in a pile by the side of the bed, it is colour coordinated on matching hangers. There was everything from 80’s Yves St Laurent jackets to a old UK brand [can’t remember the name for the life of me!] that you just know was hanging in every housewife’s closet in 1968, to shoes and bags and hats. They even hire out to stylists and the like. The photos don’t come close to showing even half of the pieces. I expected it to be expensive, which is probably why I put off going for so long – and though there were some pricey numbers, most of the items were comparable with or even less than the usual chain stores in Sydney. 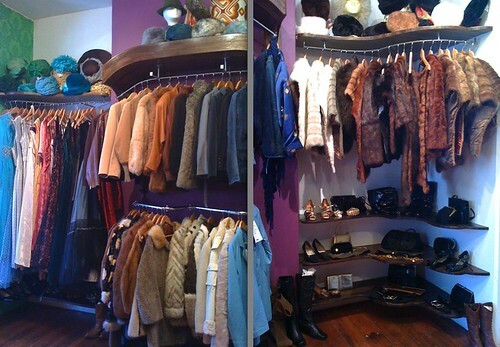 If you want cheap vintage, this isn’t the place [can you even get cheap vintage anymore?] but if you want unique and interesting at the usual Sydney prices – this is it. And honestly anything that isn’t just the cookie cutter stuff is a big plus in my book. While everything is ‘recycled’ [just doing my bit for the environment, right?] there are some items that aren’t any older than a kindergartner so just beware if you want true vintage that you may need to be a bit more judicious with your choices – and just ask the lovely ladies in the shop! I wanted to buy everything I tried on but I resisted the red summer frocks and mid-70’s asymmetrical watercolour-esque disco dress, and only walked out with a one-piece stay’n-alive jumpsuit and a sweet little cream sweater. You’ll have to wait until later for any pics but in the meantime, go take a visit, just leave me something good for my next outing! Grandma Takes a Trip has no idea who I am, that I covet everything in the store or that I am writing this. In other words, the credit card got a workout. Maybe one day I’ll be able to hire outfits from them too. Cake trade?? You’ll have to do a ‘vintage Fredonia’ with the hat modeling you did here. Definitely! Loved that little shop! I have to say whenever i am in Sydney i make a beeline for this treasure trove! Highly recommended and with friendly, experienced staff too: wish there were more places like this.